Listen anytime this week via KALW's Local Music Player. 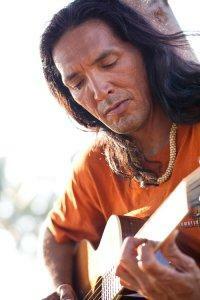 Folk Music & Beyond's special guest is John Cruz, award-winning singer-songwriter from Hawaii. John is a guitarist, story-teller, and teacher and serves as cultural ambassador for Hawaii. He was chosen to play at President Obama's inauguration. John will perform a few songs and tell lots of stories. We'll hear songs from his recent recordings "Acoustic Soul" and "One Of These Days."